Much has been written about the use of wireless to transfer data. While in Thailand many are still stuck with copper wire for Internet links, some areas are beginning to set up networks that use radio for data transmission. I know of a couple of Mac-equipped homes where computers are connected via Apple's Airport; certain shops in Bangkok's Phantip Plaza have all the accessories needed for a radio network; and for over 12 months I have been using Bluetooth to link phone, Palm, and Macs, and to connect to the Internet. Radio as a viable method to link computers in the home and office has arrived. This makes Flickenger's Wireless Hacks, invaluable. In a similar way to OSX Hacks, which I reviewed some months ago, the contributors to Wireless Hacks, analyse problems and provide workable solutions. It took me a while to write the review as I have been using the book daily since it arrived. The first chapter sets the scene by explaining the technologies, and includes a couple that are not wireless; such as the home network using phone lines, and data links via power lines. The remainder of the book concentrates on easy ways to set up radio links. The Bluetooth chapter covers Macs and Linux, plus a script for the Nokia 3560. There was nothing on Windows and Bluetooth. Other sections in the book have plenty of Windows information. As security can be severely compromised with data transmission by radio, a major part of the book is taken up with monitoring and security concerns. While Unix, Linux and OSX systems have password security built-in, this is often ignored on Windows systems, leaving them open to risk. If the data is transmitted on an open radio network, such weaknesses are compounded. Wireless Hacks offers much good advice on such security concerns. There is enough information in the book to build a wireless network using discarded systems. There are several do-it-yourself systems and even one hack using a thumb drive with a stripped down OS -- the book suggests Pebble (a Debian-based distribution). The OS and necessary applications can all be squeezed onto a 256MB drive. A section on antennas is also highly readable. It includes the infamous Pringles can antenna. For those unaware of this: first eat the Pringles, then turn the can into a Yagi antenna. 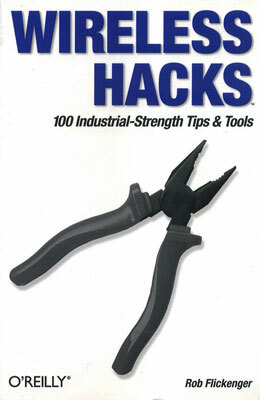 Along with this, and other similar hacks, are a wealth of online resource suggestions. The book is not for a novice; but the enthusiastic amateur can easily use (or construct) several of the hacks in this highly readable work. Students and teachers could get much out of this, and I envisage several project ideas for the future. You will find information about this and other books at the O''Reilly website. In early December I walked into the Kinokuniya bookshop in the World Trade Center and saw what I initially thought was a book wrongly-classified. Haynes manuals are well-known by motorcycling enthusiasts worldwide -- if you are going to keep your bike (or car) running in Thailand, a Haynes is essential, with its clear explanations, good photographs and blow-up diagrams. 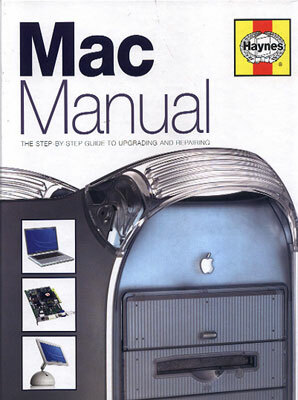 Here in the Mac section was a Haynes manual for Macs. I winced at the price but when I checked the website later, I calculated that if I factored in mailing costs, it might even cost more. The manual deals with all models in the G3 and G4 ranges. A table lists the computers and basic specifications, showing clearly which can be upgraded and how. Some of the computers are not upgradable (apart from RAM), so sections on these are brief. The desktop models and the CRT iMacs can be pulled apart, so there are far more images and text. I have been inside the G4 (and G5), and I have upgraded memory in the iMac. As yet, I have not had the courage (or the need) to open the case of the iMac but with the hard disk almost full, it may be worth my while installing a larger disk. The book does warn, however, that a peripheral might be a better alternative: "If there is no reason to perform surgery, leave well alone." Along with the wise words, Haynes has always allowed a touch of lightheartedness to creep in. This comes across as a friendly admonition rather than being patronising. As with the bike manuals, it is clear that the writer has been there, and had to pull at the part more than expected. Apple provides online technical documentation for its models and it is possible to download hefty .pdf files for them. Apple documents are precise and exact. The Haynes is clear and easy to read. The two have different intended readerships: the Apple documents are aimed at trained technical personnel, while the Haynes is for the confident user who may want to work on an older Mac. The excellent photographs are a little better than in my bike manuals, and the paper is certainly of a higher quality (there is also less chance of oil on these pages). The book finishes with smaller sections on software, trouble-shooting, and maintenance: logical and useful. A glossary brings up the rear. Appendices cover operating systems and buying a new Mac: the latest Macs, including the G5 are featured, as well as the recently released Panther. Although this is not a cheap book, especially by Bangkok standards, it is one of those that has a certain necessity about it for anyone who needs to look after Macs. Not all technicians are completely happy with Macs. I have not been at all disappointed. It would make a good New year present for the Mac user in your life.